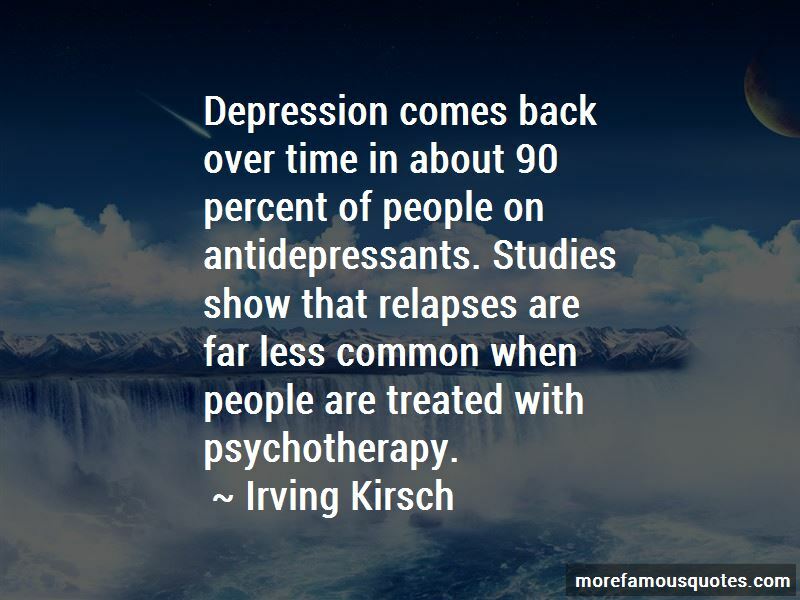 Enjoy the top 31 famous quotes, sayings and quotations by Irving Kirsch. 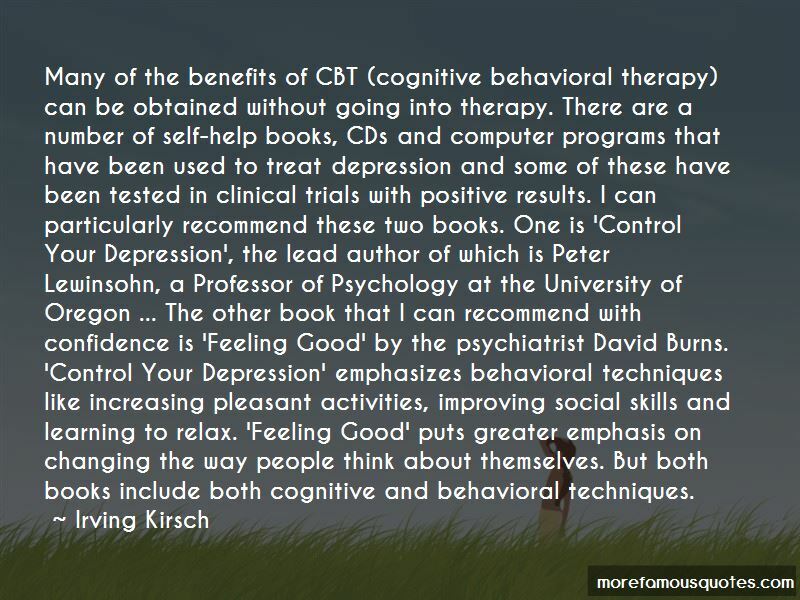 “Psychotherapy works for the treatment of depression, and the benefits are substantial. In head-to-head comparisons, in which the short-term effects of psychotherapy and antidepressants are pitted against each other, psychotherapy works as well as medication. This is true regardless of how depressed the person is to begin with. 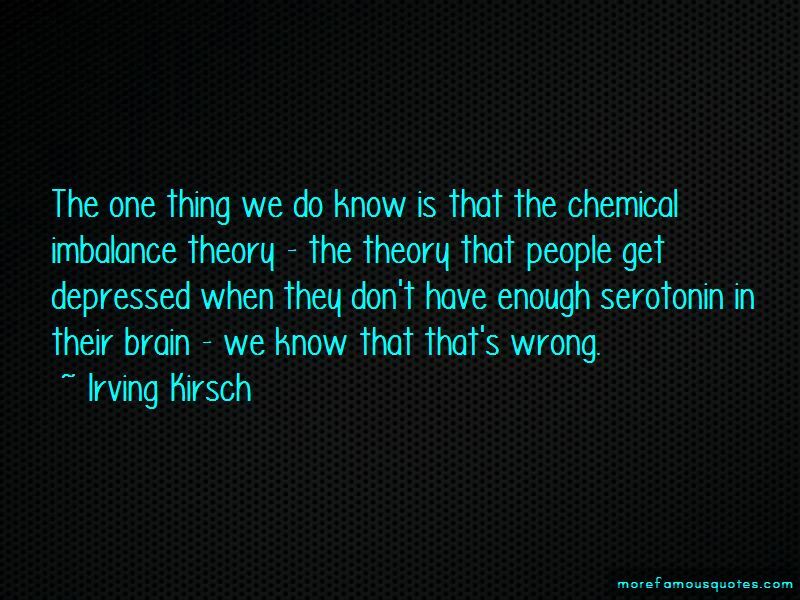 Want to see more pictures of Irving Kirsch quotes? 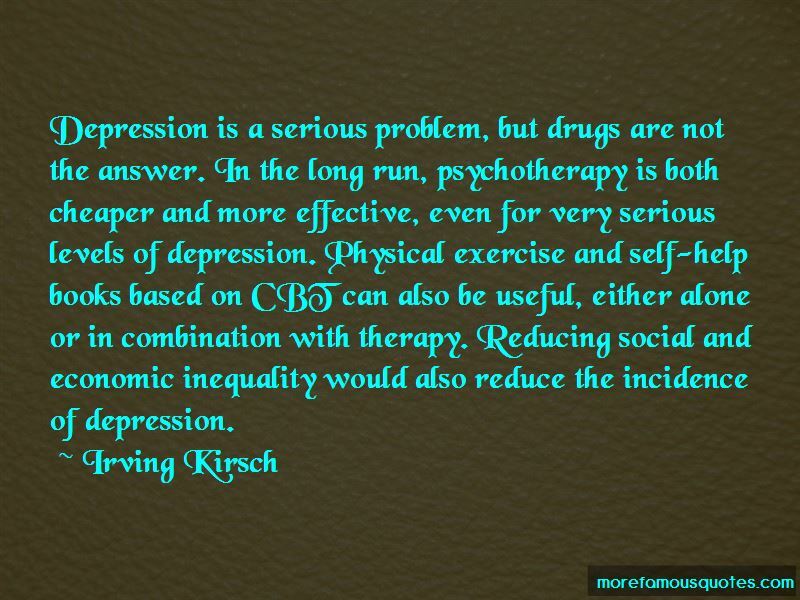 Click on image of Irving Kirsch quotes to view full size.